A 2-tier Christening cake with pink ombre ruffles and pink flowers with pearl centres. Topped with a pink and white rocking horse with pearl details. 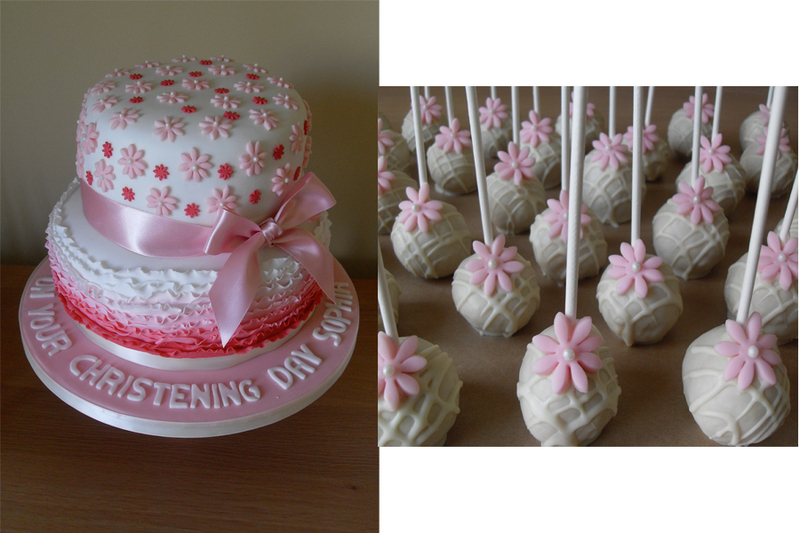 The cake was surrounded by white chocolate cake pops decorated with matching pink flowers with pearl centres.